The same reporters who received documents from former NSA worker Edward Snowden are now publishing information from a second governmental source. 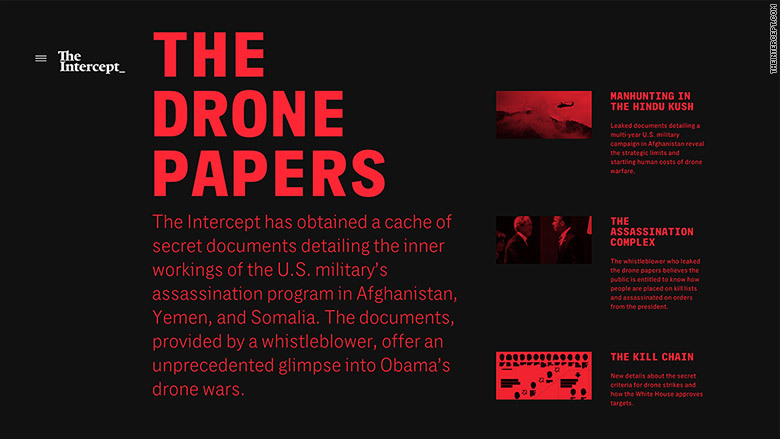 On Thursday, the Intercept website published an investigation called "The Drone Papers." It's based on a collection of secret documents about the U.S. government's targeted killing program. Reporter Jeremy Scahill said the documents came from a "new whistleblower" who wanted the public to know more about drone killings in Afghanistan, Yemen and Somalia. The source's identity is kept anonymous. Snowden has been in exile since June 2013. The possibility of a "second Snowden" was first raised in August 2014, when the Intercept reported on "Obama's secret terrorist-tracking system." U.S. officials told CNN at the time that they'd concluded a new leaker was responsible. The Intercept is being very careful about what it says and doesn't say about the new leaker. Thursday's news report says the information came from a "source within the intelligence community who worked on the types of operations and programs described in the slides." The Intercept characterizes the source's motivations this way: "He believes the public has a right to understand the process by which people are placed on kill lists and ultimately assassinated on orders from the highest echelons of the U.S. government." Scahill declined to comment in any more detail about when and how the source made contact with the Intercept. "This administration has been relentless in its war against whistleblowers," he said in an email, "and I admire the courage of anyone who takes such risks to bring vital information to the American public so that we can have an honest debate about these life and death issues." Scahill also declined to comment on "the methods by which we obtained these documents." 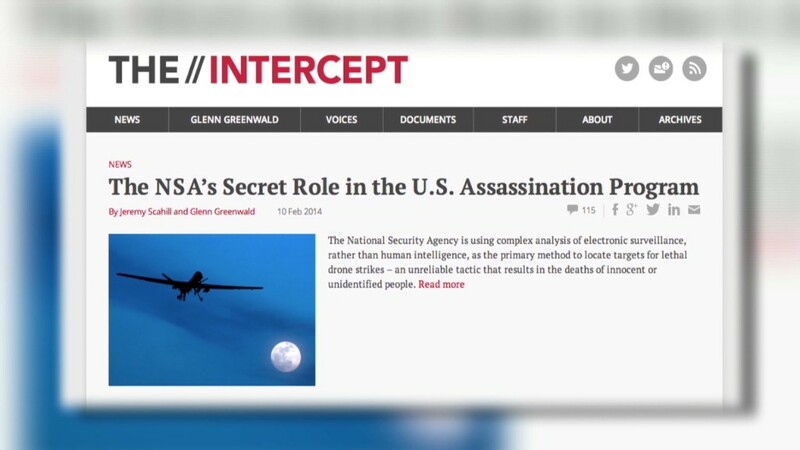 Glenn Greenwald, who along with Scahill is a co-founding editor of the site, said on Twitter that the "whistleblower came to The Intercept with a huge trove of secret docs about Obama's drone killings." A documentary about the Snowden leaks, "Citizenfour," contains a scene at the very end that telegraphs the existence of the new source. In the film, Greenwald tells Snowden that another person has come forward with internal government information. Greenwald refers to a document that was published in full on Thursday, showing a decision-making process for drone strikes. "Citizenfour" came out a year ago. That means the Intercept has been in possession of at least some of the documents for well over a year. The Intercept encourages anonymous sources to come forward by providing an encrypted server for drop-offs and a guide called "How to Leak to The Intercept." At launch, one of the primary goals "was to enable sources to come forward in a secure and safe way," Greenwald told me on CNN's "Reliable Sources" last year. In the case of "The Drone Papers," The Intercept worked with The Huffington Post to help its scoop reach more people. The Huffington Post republished portions of Scahill's story Thursday underneath the banner "NEW SNOWDEN EMERGES." Ryan Grim, the Huffington Post's Washington bureau chief, said the collaboration came about because "we've known and worked with a lot of the reporters at The Intercept in one way or another and Jeremy, of course, is one of the premier national security reporters in the country." Grim said "we look forward to doing more in the future."